The Federal government has approached the Abuja division of the Federal High Court for an order seeking to revoke the bail granted the self-acclaimed leader of the Indigenous People of Biafra, Nnamdi Kanu. On the same day, a group of United Nations human rights experts called on the federal government to take decisive step to deal with those behind hate speech, incitement and quit notices. The request to revoke Kanu’s bail was premised on the grounds that the defendant had flagrantly violated all the conditions attached to his bail. 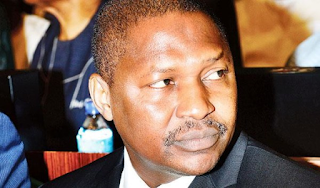 In a release by Special Adviser, Media and Publicity to the Attorney General of the Federation and Minister of Justice, Salihu Isiah, the Federal government is seeking for the revocation of Kanu’s bail and to have him in custody pending the determination of his trial. Some of the grounds the Federal government is seeking the revocation of bail are: That the offence for which he is standing trial is not ordinarily bailable; that among other conditions for the bail of the 1st defendant is that he should not be seen in a crowd exceeding 10 people; that he should not grant any interviews, hold or attend any rallies; that he should file in court medical updates of his health status every month; that rather than observing all of the conditions listed above, the 1st defendant in flagrant disobedience to the court order flouted all conditions of the bail. The federal government further stated that the first defendant had in furtherance to the offence he was charged, inaugurated Biafra Security Service, adding that such an act is a grave threat to national security and unity of the country. 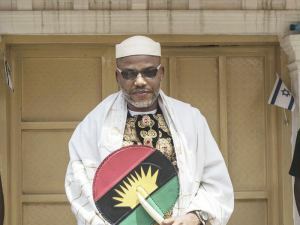 Justice Binta Nyako granted Kanu the bail to enable him attend to his ailing health. In granting the bail, Justice Nyako had ordered that Kanu must never be seen in a crowd of more than 10 people and should not grant any press interviews nor hold rallies. “The first defendant Nnamdi Kanu has appealed to the court for bail based on health grounds and it is only the living that can stand trial. So I am minded to grant him bail so that he can attend to his health and face his trial alive”, she said then. Kanu, Onwudiwe Chidiebere, Banjamin Madubugwu and David Nwawuisi were arraigned by the federal government on an eleven count charge bordering on terrorism, treasonable felony and illegal possession of firearms amongst others. Justice Nyako struck out six out of the 11 count amended charge filed against the defendants on grounds that the charges lack competence. 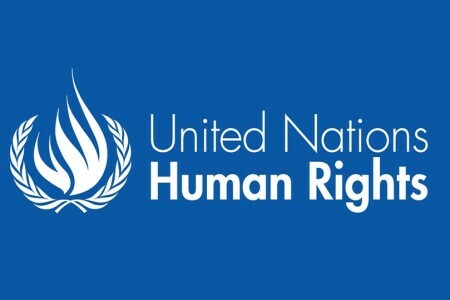 The United Nations human rights said Nigeria had witnessed a spate of inciting hate messages since a coalition of Arewa Youth groups issued a quit notice to Nigerians of Igbo extraction living in the North by October 1, claiming it was in reaction to the separatist activities of IPOB. In a statement issued yesterday in Geneva, three UN experts urged the federal government to also take immediate steps to arrest those behind the quit notice and a song that seeks to disparage the Igbos. The statement was signed by Mr. Mutuma Ruteere, Special Rapporteur on Contemporary forms of Racism, Racial Discrimination, Xenophobia and related Intolerance; Mr. Fernand de Varennes, Special Rapporteur on Minority Issues, and Ms. Anastasia Crickley, Chairperson of the Committee on the Elimination of Racial Discrimination. An ultimatum telling Nigeria’s Igbo minority in the north of the country to flee their homes is of “grave concern”, they warned. The experts also deplored a hate song and audio message being circulated on the internet and on social media. The Hausa-language audio message urges northern Nigerians to destroy the property of Igbo people and kill anyone who refuses to leave by 1 October, the same date given in the ultimatum.